PLESK_ERROR: Error: Unable to send the secret code: Your domain does not seem to be valid. Could not find MX record for your domain. SMTP email relay service provider does not accept emails from postmaster@localhost. 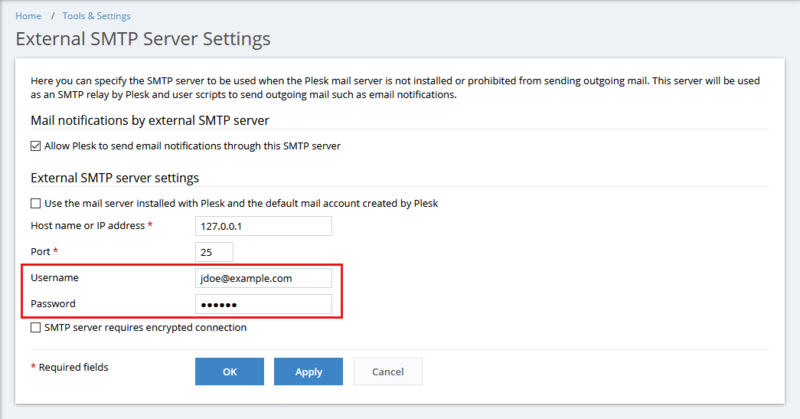 In Plesk, go to Tools & Settings > External SMTP Server and uncheck the option Use the mail server installed with Plesk and the default mail account created by Plesk. In the appeared fields, specify a valid mail account that will be used as a sender name. Once done, click OK.